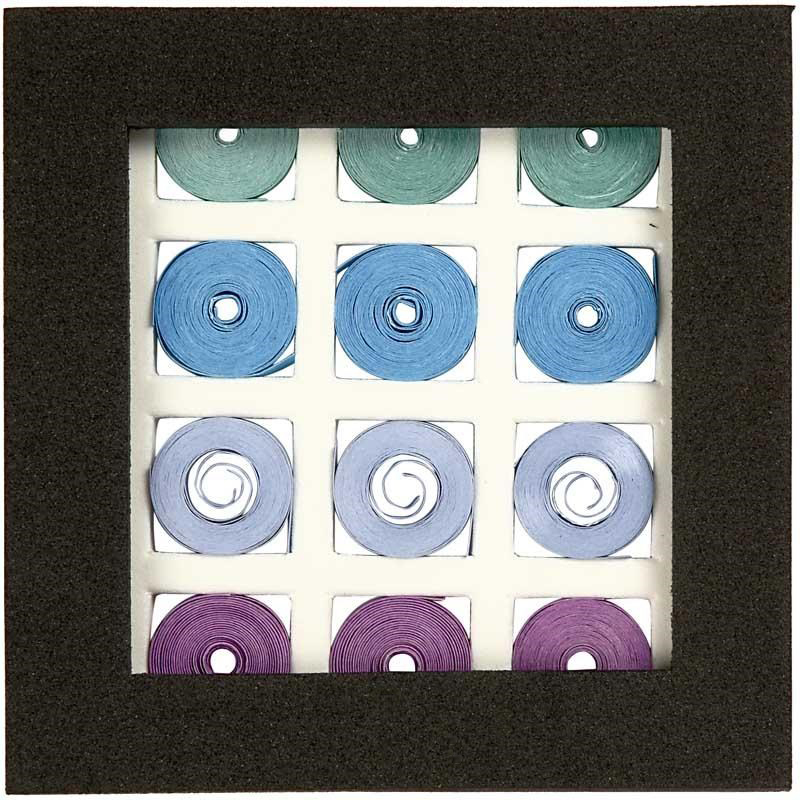 This quilling kit contains strips of blue, purple and green quilling paper (set in a window frame) and an square foam frame so you can quill to your own design. You'll need a quilling pen to help twist the paper into shape. The size of the frame is approximately 10x10cm.